CAN Capital provides short-term loans to small businesses that can’t get financial assistance from other lenders due to their industry, short duration in business, or poor credit scores. Clients can borrow $2,500 to $250,000 with 6 to 18 months term. In this article, we cover user reviews and pricing. Ready to get started with CAN Capital? Apply now. Users who gave CAN Capital a positive review said that the application process is easy and that the funds are quickly released. They added that their employees are helpful, courteous, and knowledgeable. One user who gave CAN Capital a positive review on Trustpilot liked the prompt and personal service they received from the company. He added that CAN Capital considered all of their needs, and all of the communications, decisions, and funding are on-time. As of the date this article was written (12/27/18), there are very few up-to-date negative CAN Capital reviews online. Some of them said though that the interest is too high. CAN Capital’s pricing is not readily available on their website. However, according to a third-party site, their interest for their short-term loans ranges from 1.15% to 1.48%, while their term loan’s interest rate is at 12.9% to 29.9% APR. An additional 3% of the funded amount will be charged to term loan clients as an origination fee and $395 administration fee for merchant cash advance clients. Ready to get started with CAN Capital? Apply now. Best SBA Lenders: Top 100 SBA Lenders— With more than 3,000 SBA lenders nationwide, choosing the best SBA lender can be difficult. In this guide, we’ll show you the 100 top SBA lenders per current SBA data, and review 10 of the top SBA lenders. Read on to know our recommendation. How fast can users get the funds? Once the application is approved, the funds will be sent to the user’s business account in two business days. 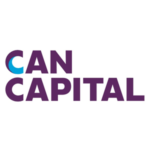 Are there any restrictions on where clients can use the funds from CAN Capital? No. Users have the freedom to use the funds on any aspect of their business: taxes, payroll, renovation, inventory, marketing expansion, etc. depending on their needs. Not sure if CAN Capital is the right fit for you? Read our reviews of all top lenders or check out one of these three CAN Capital competitors. They continue to charge account after loan is paid off. They marked payments as nsf even though they removed funds from my account. Then double charge me. Saying I had to supply entire bank statements to prove they removed. They are thieves. I have been a customer of Can Capital for a couple of loans .Always paid on time. I wanted to pay off the last loan early but they refused to give the discount because the funds were coming from a different account. Who cares. I paid off the loan. They just wanted to make more money. Greed. I will make sure the word goes out to all my business associates not to do business or recommend Can Capital. I have done 3 loans with Can Capital over the last 4 years. I have shopped their rates, and was told by other companies that they could not match or beat the offers Can gave us. We are a small business, and sometimes need extra funds. “Matt” kept in communication with me, and made the paperwork easy, as I do not have a lot of time to deal with it. We will continue to do business with them as needed. After discussing the reasoning for this loan with a CanCapital representative and filling out the application and providing my personal and business information and waiting 3+ days to hear back, he tells me they do not support my line of work for a loan. Which I felt could have been discussed the first day when I told him why I was applying for the loan. I could have applied for a more suitable loan during all that time. Very disappointed. Communication is horrendous. They need some serious work on their customer service. Even if we were looking this direction for funding in the future, we would not use this company based on that alone.